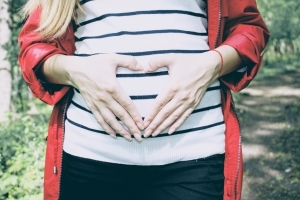 Whether you are just beginning your path to try and have a baby, or you have been trying for a long time and had many disappointments, acupuncture and Chinese medicine can help in many ways. At Holden Acupuncture we have over 15 years of experience treating women through the fertility process. Acupuncture and Chinese medicine can help regulate menstrual cycles and allow women to conceive naturally. We can also support and improve the success rates of Western reproductive treatments such as hormone supplementation, intrauterine insemination and in vitro fertilization. We help couples sort through their western medical test results and integrate that information with our findings here to help you feel more in control of your decisions, your health and the fertility process. Acupuncture has been shown to increase the success rate of IVF (In Vitro Fertilization) by 65%. This was demonstrated across seven different acupuncture trials and is published in the Feb 2008 issue of the British Medical Journal. Acupuncture has been shown to increase blood flow to the uterus and therefore increase the thickness of the uterine lining, which is important for the implantation of an embryo. Acupuncture lowers stress hormones, which can improve fertility as well as overall health and wellbeing. Acupuncture can impact plasma levels of fertility hormones including FSH, LH, E2 and Progesterone as shown in several studies. In a study conducted at Tianjin University and Chinese Medical Sciences in Beijing investigating the effects of acupuncture on premature ovarian failure researchers found that serum FSH and LH levels decreased and E2 levels increased with acupuncture treatment. Some women regained menstrual cycles from the treatment, and stress, anxiety and menopausal symptoms were all reduced (HealthCMi.com, October 2017). Acupuncture has been shown to improve sperm quality (Fertility and Sterility, July 2005). Acupuncture is an excellent, natural way to regulate the menstrual cycle and improve fertility naturally. Acupuncture also helps not only improve the success rate of fertility treatments like IUI and IVF, but it also decreases the side effects of those treatments and reduces overall stress levels. Acupuncture can decrease the chance of miscarriage. Acupuncture greatly improves a person’s sense of overall wellbeing and helps resolve other lingering symptoms. These symptoms may not be a concern to someone who is focused on getting pregnant, but they are a sign of imbalances that are probably related to the difficulty in conception. Often as symptoms such as headaches, menstrual cramps, digestive troubles resolve, women will conceive. In general treat your body as though you are already pregnant: plenty of rest, good food, moderate exercise, etc. Most importantly listen to your body. I find that women are much more likely to listen to their body’s messages of needing a break, needing a healthy snack, etc. when they know that everything they do directly impacts the little person growing inside of them. But Chinese medicine believes that the state of each parents’ health at the time of conception has a direct impact on the long term health of the child. The healthier and more balanced your body is, the more likely you will be able to conceive AND the better growing environment and future health you are creating for your baby. Eat a healthy, clean diet. The more nutrients and good “qi” you are feeding your body and the easier you make it for your body to digest and utilize this energy source, the better all of your organ systems will work. Aim to eliminate caffeine, alcohol and all chemical sugar substitutes. Try to limit processed food, hydrogenated oils, preservatives, etc. Eat as much fresh and homemade food as you can. Plenty of fresh vegetables, whole grains, beans, and small amounts of animal protein. Try to buy organic meat and dairy whenever possible. Avoid meat, eggs and dairy that are not labeled hormone free. Work on reducing the amount of refined sugar you have in your diet (but real sugar is still better than any of the chemically derived substitutes). Most people will do better on a diet consisting mainly of warm, cooked foods and less cold, raw foods. This is especially important if you have a tendency to get cold easily or have trouble with bloating, loose stools and gassiness. Note: When you “like” our Facebook page, you’ll get regular updates with recipes, articles and health tips. Incorporate beans into your diet. Black beans in particular are good for fertility. An acupuncturist can give you more specific and directed dietary advice that is suited to your particular constitution and set of imbalances. Exercise is very important to keep your qi flowing smoothly. For women trying to get pregnant, I recommend gentler forms of exercise such as walking, swimming, yoga, and Tai Chi. Manage your stress as best you can. Don’t beat yourself up with the idea that if you feel stressed you are preventing yourself from getting pregnant. Just look for small ways minimize your exposure to stress and incorporate more little things (a few minutes alone in the middle of a crazy day, a warm bath, a cup of tea in your comfiest pjs, etc.) to help you relax. Give yourself license to skip stressful social events when you can, to take a “sick day” on occasion. I have seen several women get pregnant after they start doing a guided relaxation meditation daily. Be gentle with yourself. Remember that this is a stressful, emotional and tumultuous road. Allow yourself to feel whatever comes up and look for safe places to express those feelings (a close friend, a counselor, a support group). Feel free to call the office at 508-829-8094 or email me anytime if you have questions. I am always happy to offer whatever help I can or guide you in the right direction whether or not you are a patient of mine. I can also refer you to an acupuncturist near you who has experience treating infertility or help you find other resources. Check out www.resolve.org. Resolve is a nonprofit group dedicated to offering support, education and resources around infertility. They have a lot to offer. Note: The above is not to be taken as medical advice. Always consult your physician before trying new regimens or procedures.